“Arracache” (Arracacia xanthorrhiza) is a root vegetable originally from the Andes, one could say it’s something between the carrot and celery. The name arracacha was borrowed from Quechua “raqacha”, and is very popular in the Andean region (Peru, Venezuela, Ecuador, Brazil). 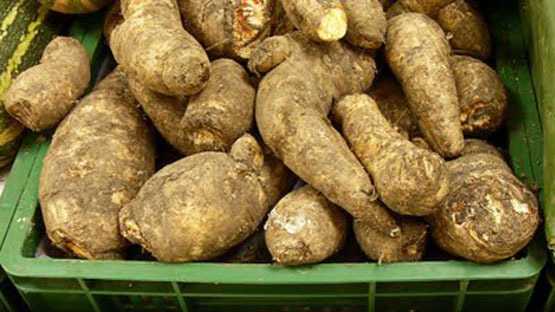 Depending on the country, the plant is also called apio criollo, virraca, mandioquinha and batata-baroa In Costa Rica we know it as arracache. The vegetable has a starchy taproot, which is its most important part. It resembles fat short carrots, with lustrous off-white skin. The interior may be white, yellow, or purple. In Costa Rica we usually see just the white kind. This root cannot be eaten raw, but when cooked, it develops special flavor, texture and aroma. The leaves are similar to parsley, and vary from dark green to purple. The young stems can be eaten cooked or in salads, and the leaves can be fed to livestock. The plant is rich in calcium, four times as much as potatoes. 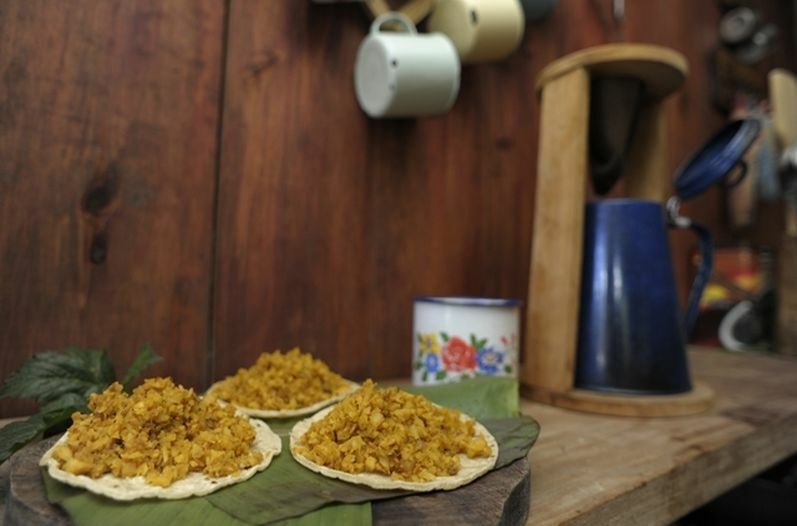 We share with you a classic Costarrican dish from the Central Valley. The recipe is “picadillo de arracache”. It is usually served with fresh soft corn tortillas for “gallos”, along with an assortment of other things you can put on your tortilla. It is also served as part of a “casado”, which is a classic Costarrican meal. Wash the arracache and put it in a large bowl with water to peel it. You must leave it under water in the process. Once peeled, chop it into small pieces and then grind it in the corn mill, or with a food processor. Wash it well and then soak it in boiling water twice. Then let it drain. This is the first step to prepare arracache. In this stage, you may pack it in zip locks or vacuum sealed in the fridge for 2-3 weeks. Put the oil in a pot and heat it, add the garlic, bell pepper, onion, cilantro and achiote, and sautee briefly. Add the tomatoes and the meat. Cook until you get a good sauce. Add salt and pepper and the stalk. Add the arracache and cook with a middle flame, until the picadillo feels soft. Make sure you cook until it until it is as dry as possible.